Now that the holidays are over, it’s a great time to give your kitchen a fresh start. There’s nothing better than having a clean, uncluttered kitchen – so here are some helpful ideas to help you get your space organized and ready to take on the new year! Think about hanging your paper towels on a cabinet door, rather than placing them on top of your counter. This small change will make a big impact by giving you more counter space to work with in your kitchen. Try using clear containers like the ones in the image below to store your pantry items, rather than keeping them in their bulky and unattractive store packaging. 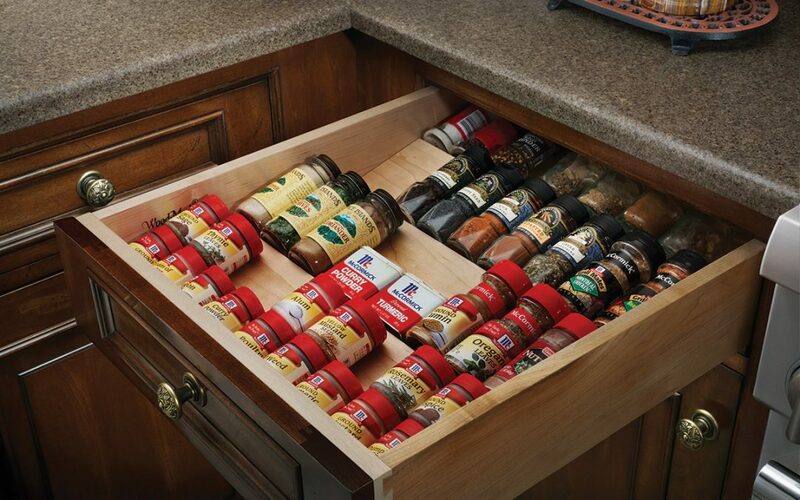 This tip will keep your pantry organized and also give you more storage space to work with. Another way to clear up your counter space is to keep your produce in a hanging basket. This not only frees up space on your counter, but it helps free up space in your fridge as well. It also can help you stay on track with your resolutions by keeping those healthy foods in plain sight!